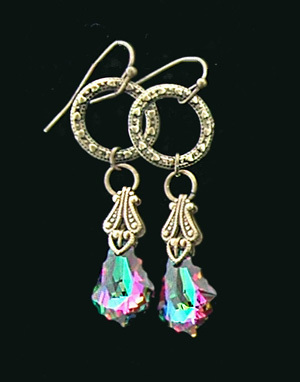 Tiny antiqued gold brass hoops etched with delicate little hearts hold a beautiful multi-colored chandelier shaped crystal. These beautiful rare crystals change from purple to green to blue and fuschia. Must see to appreciate the beautiful variations of color they hold.